From Fo Guang Shang Monastery, we continued our trip and decided to commute again by bus going to the Lotus Lake. This man-made lake is located at Cuethua Rd. 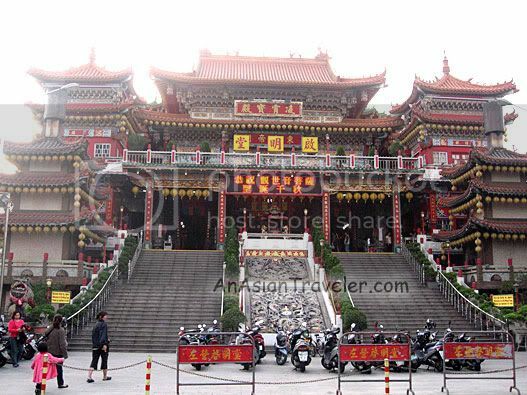 in the eastern side of Zouying District, 5km north of the city center. 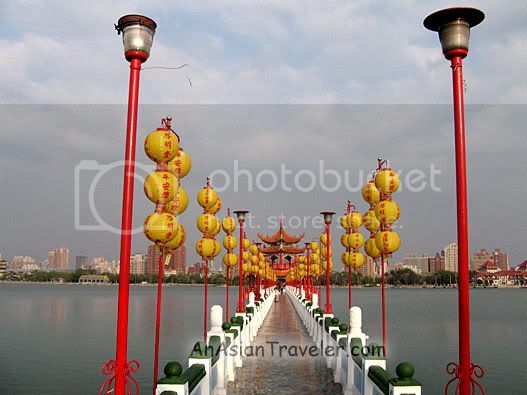 Lotus Lake is 1.4 km long and 400 meters wide, is fed by the Gaoping River. It once covered 75 hectares, but has shrunk to 42 hectares. The most impressive landmarks here are the Dragon and Tiger Pagodas with their unique and awesome relief carvings. 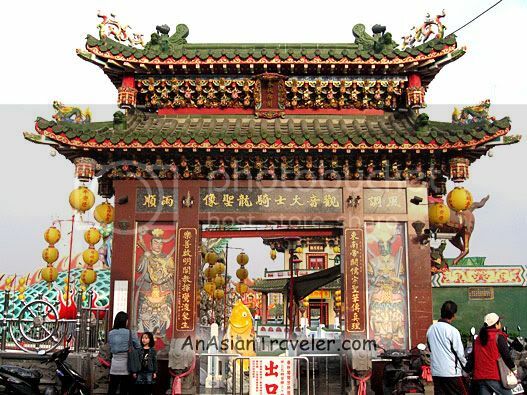 It is believe that anyone who enter into the mouth of the dragon and step out from the tiger's mouth will bring good luck. There's also the two massive Spring and Autumn Pavilions dating back to 1951. These were dedicated to Kuang Kung, the God of War. In front of the pavilion is a statue of Guan Yin, the Goddess of Mercy. 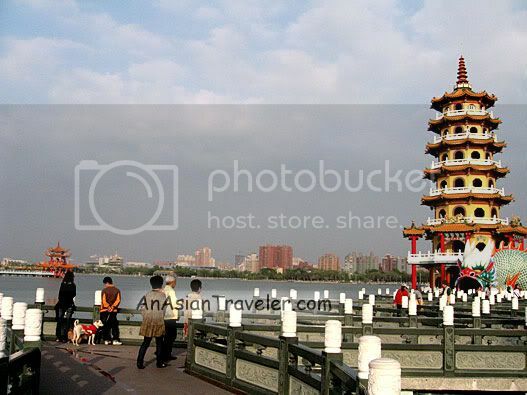 Around the lake, we could also see many Chinese historical temples. 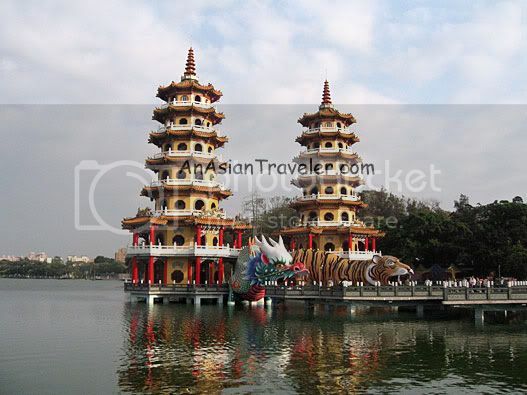 Endowed with picturesque vista and scenic beauty, Lotus Lake makes an ideal tourist destination in Kaohsiung, Taiwan. On our way home not far from the Lotus Lake, we saw a parade passing through participated by people dressed in quaint and flamboyant costumes. Really your post astonished me and I like so much these type of info are rare to get thanks.